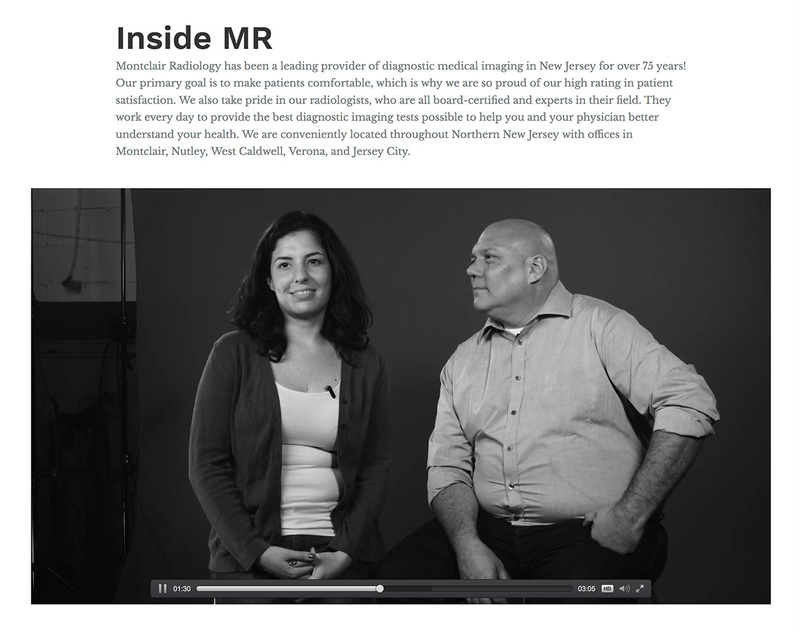 Montclair Radiology is a full-service diagnostic imaging center with five locations throughout New Jersey. 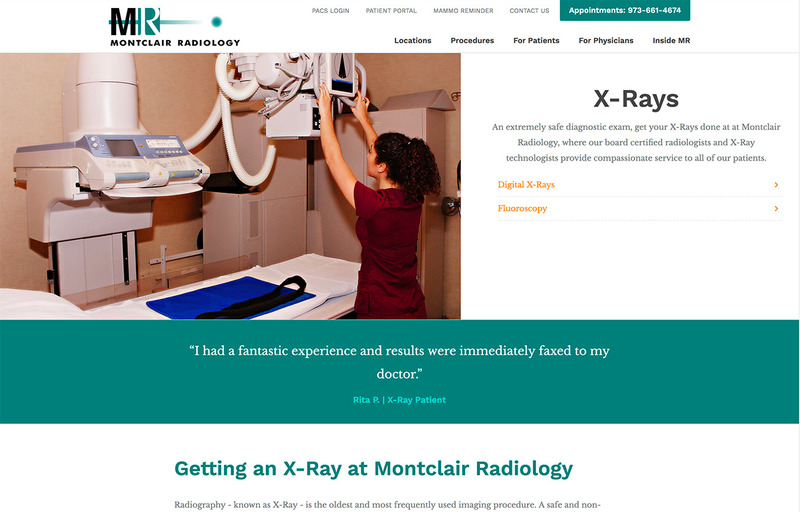 We take pride in our long-lasting client relationships and Montclair Radiology is one of those clients. Several years ago, we launched a website for the company and since then, we have developed and executed effective marketing strategies. A perfect example of our USER-First Process in action, our team recognized that our client’s website could fall behind industry standards without some modern design and UI/UX updates. 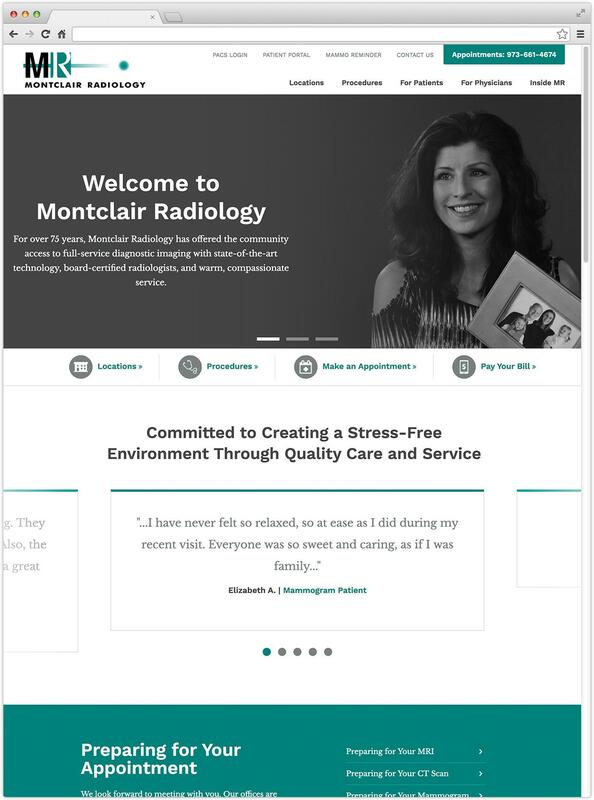 After some competitive research, our team decided that a design revamp would get Montclair Radiology to where it needed to be. We wanted site visitors and potential patients to get the same feeling they get when they walk in the office. Therefore, we updated the design to be warmer and more inviting, while incorporating modern design elements to give the brand a more polished feel. In addition to the design updates, the overall site structure was updated to support continuous SEO efforts. On the previous website, each subpage included several long paragraphs of content. Our copy team edited this content to be more clear and concise, once again, keeping ongoing SEO in mind. The new design also allows users to easily access the website on mobile devices.